91 mins., Producer, International co-production with TNM Transfer Film Neue Medien, a subsidiary company of Doculand, for ORB, SFB, SWR, ARTE. In the night from the 12th to the 13th of August 1961, Socialist Unity Party Secretary General and President of the National Defense Council Walter Ulbricht gave the order to physically separate the different sectors of Berlin. On the morning of the 13th of August, armed border guards began ripping up the streets and barricading the area with barbed wire. 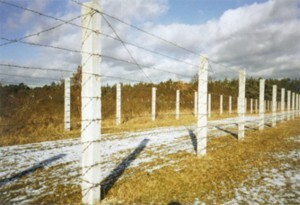 A few days later, during the night from the 17th to the 18th of August, troops began replacing the barbed wire with cement blocks. It Happened in August. Building the Berlin Wall – Anatomy of a Political Crisis portrays the bitter events surrounding the separation and division of Berlin. Decades after the fall of the Wall and the opening of the archives, the film offers, in a series of historical flashbacks, a representative and suspensefilled panorama of the greatest crisis in post-war Germany and international politics. Ullrich Kasten was born in 1938. After studies in German and Art History, he began writing in 1962, followed by writing and directing for East German Television from 1965 on. In 1992, he became an editor for the broadcaster ORB. A selection of his films includes: Malik – Meine Liebe (1990), John Heartfield – Er sprach vom Wichtigsten (1990), Goebbels – Der Schirmherr (1992), Ihre Uhr ist kaputt oder die Zeit selber (1997), Eigentlich ist nichts geschehen (1998), Mein Leben ist so sündhaft lang: Victor Klemperer, Ein Chronist des Jahrhunderts (1999), Ich lebe, mein Gott – ich lebe: Das kurze Leben der Brigitte Reimann (1999), Ueber den Abgrund geneigt: Leben und Sterben des Johannes R. Becher (TV, 2001), It Happened in August. Building The Berlin Wall – Anatomy Of A Political Crisis (Es geschah im August – der Bau der Berliner Mauer, 2001), and many more. In their documentary “lt happened in August”, a co-production of Doculand Produktions GmbH with SFB, ORB, SWR and WDR (ARD), H. Kasten and Hans-Hermann Hertie confront scenes of big politics with Berlin everyday life in this fateful year 1961. This and a calm, structured presentation takes the pathos from the facts putatively known since long – the tears, the fleeing people, the famous Wallinscriptions, the tanks, the barbed wire, the bricklayers, the Cold Warriors. However, the expectation that this might be the definitely different, the ultimately valid revealing film about the building of the Wall is met with professional understatement. In the present “media-Olympic” of the Walldocumentaries, the Film “It happened in August” absolutely deserves a leading position and the rating to be “highly recommended”.